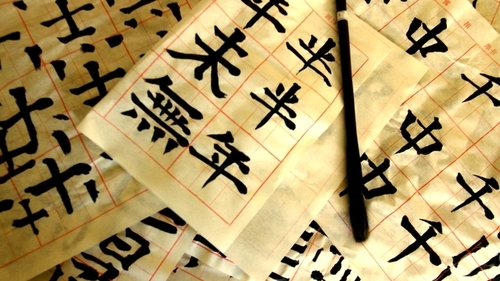 Nowadays there is an increase in the popularity of the Chinese language as Chinese economy grows. Chinese is the official language of China, Taiwan and Singapore, and also one of six working languages of the UN. Chinese is spoken by more than 1,300 bln people worldwide. Translation company Law & Word Company provides services in translating from Chinese into Russian and from Russian into Chinese. Our translators can translate the most complicated texts whether it is a multipage contract for product and service delivery or entire treatises created by ancient Chinese sages. The price for a normal translation both from, and into, Chinese is RUB 850.00 for one translation page (consisting of 1,800 characters with spaces). The term depends on the scope of translation work. The price for an urgent translation is RUB 1,275 for one translation page (extra charge is 50%). Legalization of documents holds an important position along with translations into Chinese. When legalizing any Chinese document for Russia, Chinese colleagues go through a similar process, where the initial stage includes the certification of a document by a Chinese notary. Then the notary’s signature and seal affixed on the document is authenticated at the Legalization Office of the Consulate Department of the Ministry of Foreign Affairs of China. If the document is executed in any of the Provinces, it is first certified by a foreign affairs office of People’s Governments under the Ministry of Foreign Affairs of China, located in Provinces or direct-controlled municipalities. The last stage includes the certification of the document by the Russian Embassy to China. It is first determined what consular district the Province where the document was initially notarized is related to and then the document is referred to the Consular Department of the Embassy or the Consulate General of Russia in China. At the same time we should bear in mind that the Russian Embassy to China only accepts documents certified by the Consulate Department of the Ministry of Foreign Affairs of China and executed in its consular district. Consulates General accept only those documents that are certified by the foreign affairs office of a Province located in consular districts. Law and Word Company is an expert in the legalization of documents. Consular legalization for China makes up at least one fourth of such documents. Please call + 7 (495) 995-9180 right now and send us scanned copies of your documents at info@pravoislovo.ru. If, in principle, a document is subject to legalization, we will certainly help you!